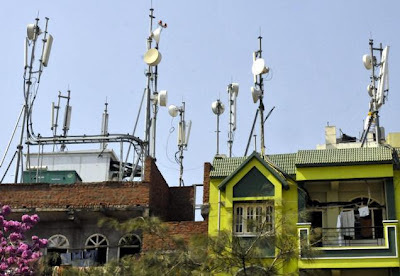 With the Government’s new norms for mobile towers coming into effect from Saturday, India will be among the few countries in the world to have stringent Electromagnetic Frequency (EMF) Radiation Standards, established in the interest of public health. The US, New Zealand and Canada have already adopted similar norms. Indian standards are now 10 times more stringent than over 90 per cent of the countries, Telecom Minister Kapil Sibal said here on Friday. The EMF exposure limit for Base Station Emissions has been lowered to one tenth of the existing level, he said. “Health of the people should not be compromised at any cost. Technology must be embraced but ultimately public health should not be compromised,” he said. Telecom Enforcement Resource & Monitoring (TERM) Cells under the Department of Telecom (DoT) will conduct random audits of the self certification furnished by the service providers. TERM, which also monitors illegal telecom operations, will carry out test audit of 10 per cent of the base transceiver station (BTS) site on a random basis and in all cases where there is a public complaint, the Minister said. Another agency under the DoT, the Telecom Engineering Centre has revised the test procedure for measurement of Electromagnetic Frequency in accordance with new standards. A penalty of Rs 5 lakh is liable to be levied per BTS per service provider on non-compliance with the EMF standards, Sibal said. According to DoT, 95 per cent of the towers are already complying with the new emission norms. On handsets, the Minister said all new designs of mobile handsets shall comply with the Specific Absorption Rate (SAR) values of 1.6 watt/kg averaged over 1 gram of human tissue from Saturday. The mobile handsets with existing designs which are compliant with 2W/kg averaged over 10 gram of human tissue, will continue to co-exist up to August 2013. Mobile handsets with revised SAR value of 1.6 watt/kg would be permitted to be manufactured or imported in India from September 2013. The government has decided to postpone the radiation norms for mobile phones by a year till September 2013. This is because the handset makers are seeking more time. The radiation norms were supposed to come into effect from this September. From September 2013, only the mobile handsets with revised specific absorption rate (SAR) value of 1.6W/kg would be permitted to be manufactured or imported in India for the domestic market, according to a Department of Telecom proposal. The government has carefully considered the demand and supply position of mobile phones with revised SAR value, time required to launch new models and phasing out of existing models, the DoT proposal says. “All new design of mobile handsets shall comply with the specific absorption rate (SAR) values of 1.6 W/kg averaged over one gram tissue from September 1, 2012. However, the mobile handsets with existing designs which are compliant with 2 W/kg averaged over 10 gram tissue, may continue to co-exist up to August 31, 2013,” it said. The DoT had received requests from the manufacturers to permit existing designs of handsets complying with International Commission on Non-ionizing Radiation Protection norms to co-exist with the newly designed and introduced handsets as per the new norms. 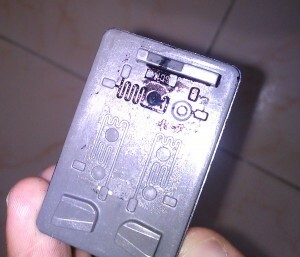 However, other instructions that were directed in January will remain the same, including the manufacturer’s booklet containing safety precautions. Also, self-declaration of manufacturers for conformity to SAR level of mobile handsets and testing in International Laboratory Accreditation Co-operation (ILAC) accredited labs will continue to be enforced, it said. They should also provide a self-declaration certificate accredited by ILAC or Telecom Engineering Centre (TEC) India, in respect of SAR value based to the DoT for necessary action. Getting missed calls from Premium numbers ? What is Wangiri scam ?